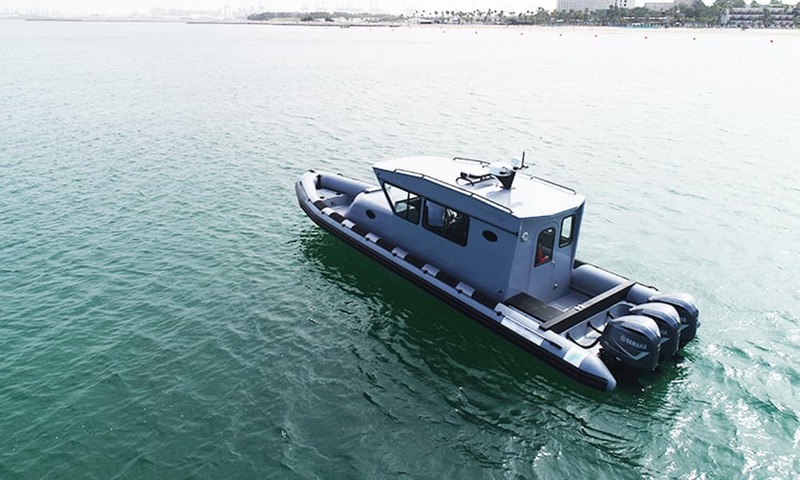 This boat is a terrific platform that can support many different agencies. 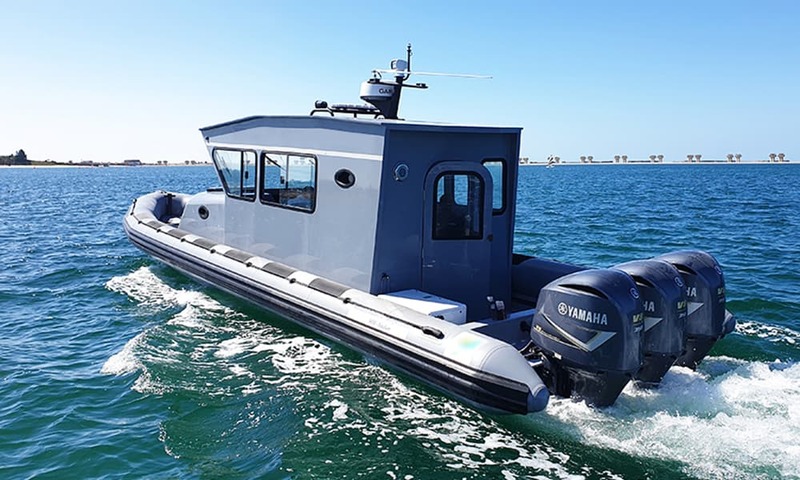 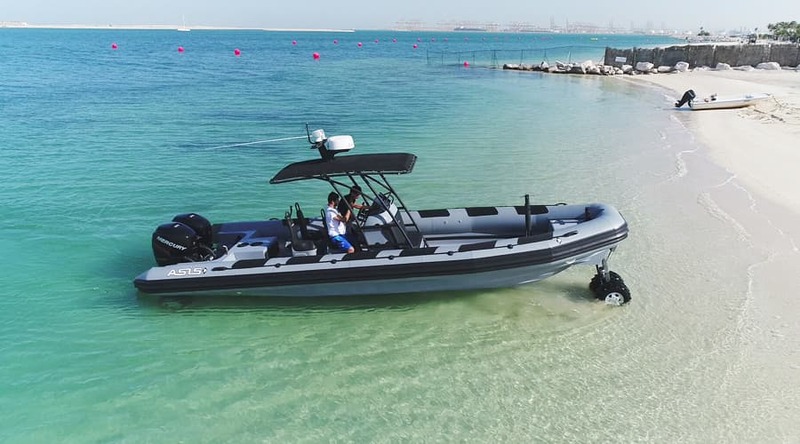 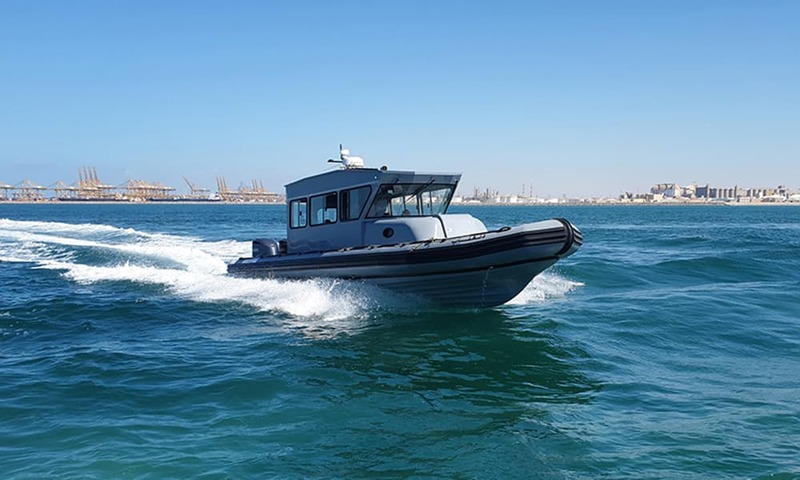 It can be used for a wide range of mission profiles; patrols, response, port security, law enforcement, anti-piracy and search and rescue (SAR). 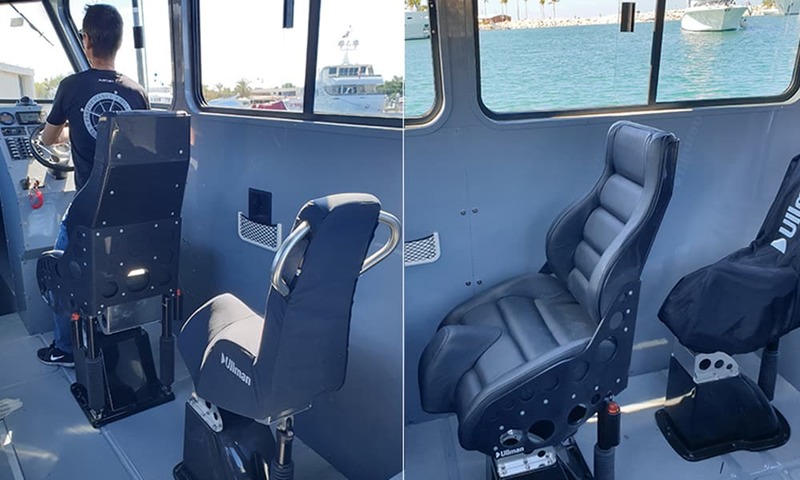 Very spacious and comfortable, the air-conditioned cabin, utilizes a hybrid construction of both Aluminum & Fiberglass to achieve excellent strength and rigidity while simultaneously reducing overall weight. 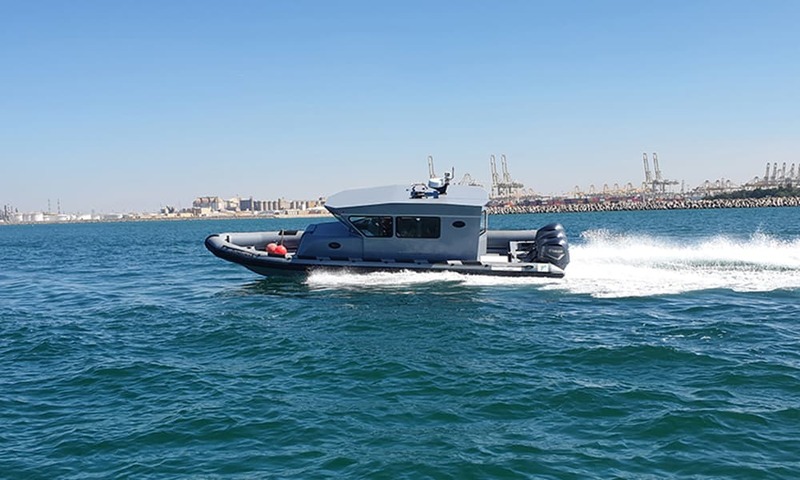 The interior boasts a generous full size forward berthing area for crew-resting for 2 persons, with a sliding door, walk through access to the forward deck and the optional foredeck-mounted crew serve weapons station. 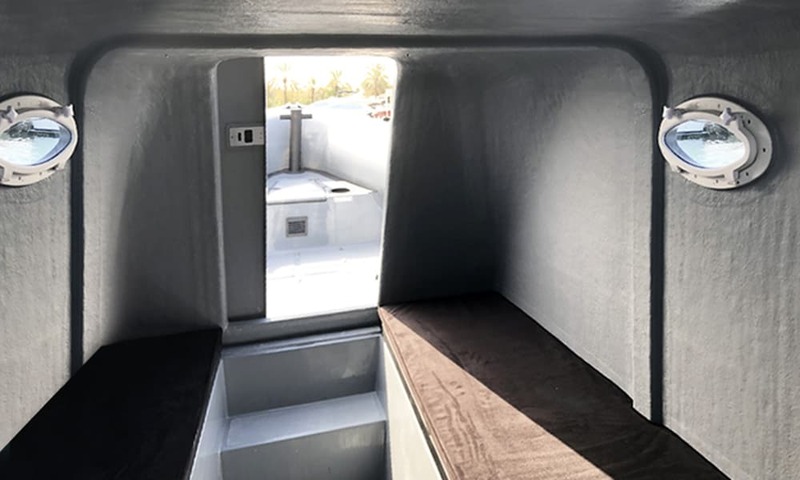 It is equipped as well with an enclosed toilet, a sink and a shower. 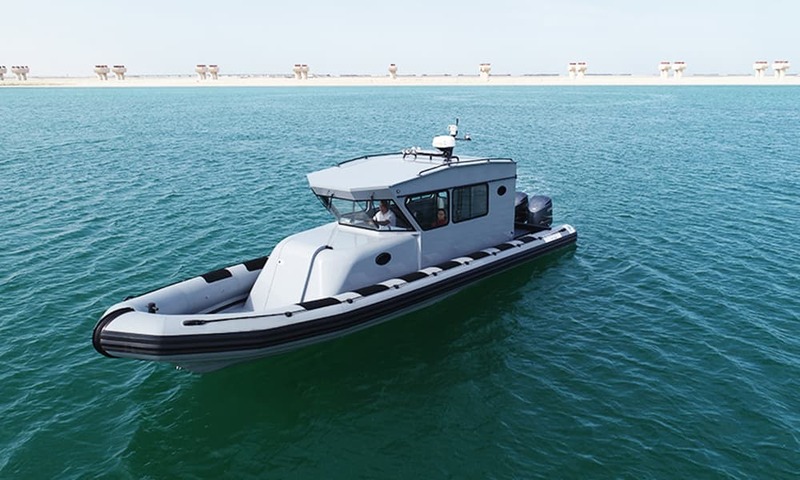 The crew will appreciate the Ullman Shock-mitigating seats and the exceptional 360 degree ark of visibility from any position from within the cabin with slide opening windows and with a significant heat and glare reduction afforded by the down-east forward windscreen design. 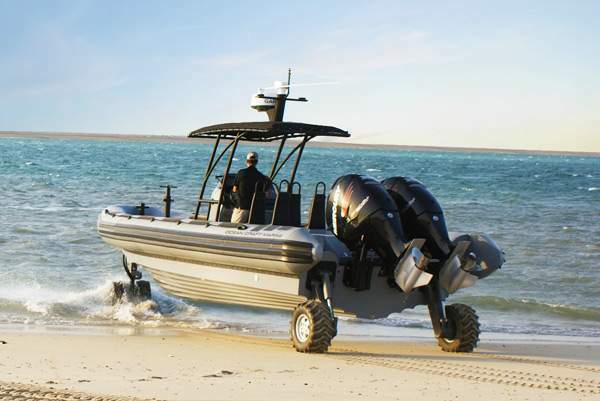 As with all Ocean Craft Marine Boats, the tube set can be pneumatic or filled with closed-cell foam.